Stop! Before you dive in and start calculating on a math problem, reflect for a moment. How can you set up the work to minimize the number of annoying calculations? Try the below Percent problem from the free question set that comes with your GMATPrep® software. The problem itself isn’t super hard but the calculations can become time-consuming. If you find the problem easy, don’t dismiss it. Instead, ask yourself: how can you get to the answer with an absolute minimum of annoying calculations? * ” The table above shows the results of a recent school board election in which the candidate with the higher total number of votes from the five districts was declared the winner. Which district had the greatest number of votes for the winner? Ugh. We have to figure out what they’re talking about in the first place! The first sentence of the problem describes the table. It shows 5 different districts with a number of votes, a percentage of votes for one candidate and a percentage of votes for a different candidate. Hmm. So there were two candidates, P and Q, and the one who won the election received the most votes overall. The problem doesn’t say who that was. I could calculate that from the given data, but I’m not going to do so now! I’m only going to do that if I have to. Let’s see. The problem then asks which district had the greatest number of votes for the winner. Ugh. I am going to have to figure out whether P or Q won. Let your annoyance guide you: is there a way to tell who won without actually calculating all the votes? There’s hardly anything more talked about in the MBA world than rankings. They generate hype, debate, sometimes even controversy, and are one of the important criteria on which prospective MBA candidates base their school selection. Academia has a vested interest in rankings, which serve to determine the popularity and appeal of particular business schools. The media, on the other hand, are highly motivated to play an important role in the rankings, and their stamp of approval for various institutions and programs has made them key players in the MBA world. Each one of the reputable rankings contains an enormous amount of useful information that can guide you towards the right B-schools. Having doubts whether you would be able to pay back your student loans? Just check the ROI of the ranked schools in your preferred region of study. Not sure if prospective employers prefer a certain school over its competitors? Check the corporate recruiters’ statistics that indicate the most desired MBA degrees. Once you start to research potential MBA programs, you can find respected sources on literally every topic relating to business education. These include but are not limited to classic rankings, statistical data, and interpretative articles on current affairs in the business education world. However, keep in mind that your MBA program selection should not only be based on these factors. Take into consideration the specifics of your own profile, application package and post-graduation expectations. Meeting an Admissions Director to get first-hand information about the personality of their B-school and how it matches with your own is always a good idea. 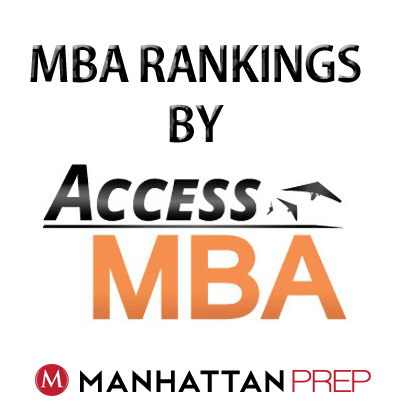 Organizations such as Access MBA provide that opportunity during their One-to-One MBA events (soon to take place in New York, Toronto, Montreal, and Vancouver). 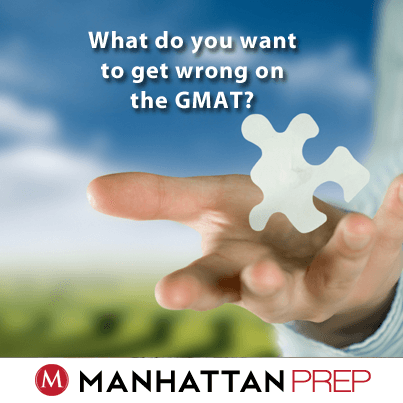 What do you want to get wrong on the GMAT? In fact, yes, you do. Let me take you on what might seem like a tangent for a moment. Would you agree that one of the marks of a strong business person is the ability to tell the difference between good opportunities and bad ones? And the ability to capitalize on those good opportunities while letting the bad ones go? Yes, of course—that’s a basic definition of business. What does that have to do with the GMAT? 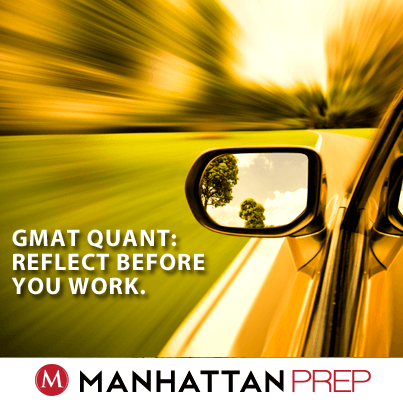 The GMAT is a test of your business skills. 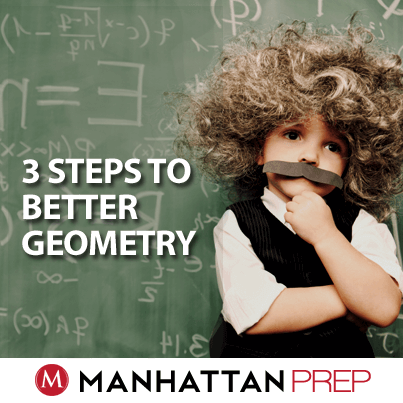 They don’t really care how great you are with geometry or whether you know every obscure grammar rule in the book. They care whether you can distinguish between good and bad opportunities and whether you can drop the bad ones without a backward glance. If you want to maximize your score on the GMAT, then you will have a short-list of topics that you want to get wrong fast on the test. My top three in math are combinatorics, 3-D geometry, and anything with roman numerals. How do you decide what your categories should be? Let’s talk. But I don’t really want to get stuff wrong… that’s just a metaphor, right? 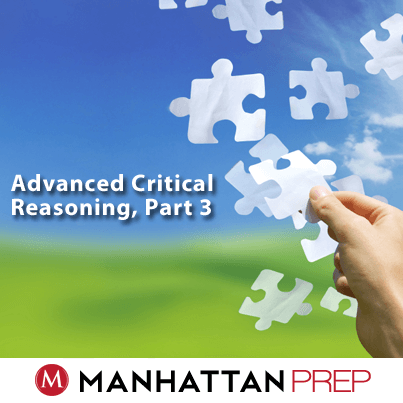 In a nutshell, the GMAT is set up to force us to get some of the questions wrong. No matter what you can do, they’ll just give you something harder. Ultimately, they want to see whether you have the makings of a good business person. One way to test that is to force you into a situation where your choice is between spending extra time and mental energy on something that’s too hard—likely causing yourself to run out of time and energy before the test is over—and cutting yourself off when appropriate. How do I cut myself off? You’re at the office, working on a group project. A colleague of yours is the project manager. The manager annoys you because he (or she) keeps assigning too many tasks, some of which are not all that important. Here’s the key step: let yourself get just a little annoyed—but with the test, not yourself. You’re not feeling badly that you don’t like the problem; you don’t feel as though you’re falling short. No way! Instead, your colleague is trying to get you to do something that is clearly a waste of time. Roll your eyes. To appease your colleague, figure out whether there’s enough here for you to make an educated guess. Then pick something and move on to more important tasks. How do I know when to cut myself off? Next, check to see how commonly tested the particular topic or question type is. You can’t afford to blow off algebra—that’s too broad a topic. You can, though, blow off sequences. For some topics, you do want to try to be able to answer lower-level questions. For instance, if one of my students just hates polygons (triangles, squares, rectangles), he has my blessing to blow off harder questions—the ones that combine shapes, for example, or that move into the 3-D arena. He does need to learn the more basic formulas, though, so that he isn’t missing too many lower-level questions. Your particular mix of pet peeves will almost certainly change over time. Initially, I had some other things at the top of my list, such as weighted averages. Then, I discovered a much better way to do those problems, so 3-D geometry took its place. Some topics, though, will always be weaknesses. I’ve never liked combinatorics and doubt I ever will. That’s perfectly fine, particularly when the topic is not that commonly tested anyway! Sound off in the comments below: what areas do you hate the most? Your new strategy is to get those wrong fast and redirect that time and mental energy elsewhere! Last week, we talked about the first two elements of getting the most out of your CATs. This week, we’re going to dive even further into strengths and weaknesses using the Assessment Reports. This series has since been updated. You can read the updated version here! How many GMAT practice tests (CATs) have you taken so far? Are you satisfied—or frustrated—with your progress? A friend told me about a young Princeton graduate she knew named Cole. Cole studied mathematics and went to work for a hedge fund directly out of school. He’s now making well into six figures at the age of twenty-four. That’s his whole story to date. That’s success and the American way. And yet how excited are you about Cole’s trajectory? Think about it for a second. I’ll admit that I’m not too psyched about it, even though I have friends at hedge funds who are very intelligent, stand-up guys and even philanthropists, and I know that hedge funds are positive in that they provide diversified investment opportunities to large pools of capital. My lack of enthusiasm comes down to a few things. If Cole successfully analyzes an opportunity for the hedge fund and it invests slightly more effectively, that will be a win for the fund’s managers and its investors. But there will very likely be an equivalent loss on the other side of the investment (whoever sold it to them makes out slightly less well for having undervalued the asset). It’s not clear what the macroeconomic benefit is, unless you either favor the hedge fund’s investors over others or have a very abstract view toward capital markets working efficiently. Cole is almost certainly very smart. But what has he done to merit his almost immediately elevated stature in life? He’s never hazarded anything. He hasn’t demonstrated any outstanding character or virtue, unless you consider studying math and being really smart intrinsically virtuous. He’s never had to go against the grain or go out on a limb. His rewards seem a little bit exaggerated for his accomplishments. There is a common and persistent belief out there that entrepreneurship is about creativity, that it’s about having a great idea. But it’s not, really. Entrepreneurship isn’t about creativity. It’s about organization building—which, in turn, is about people. I sometimes compare starting a business to having a child. You have a moment of profound inspiration, followed by months of thankless hard work and waking up in the middle of the night. People focus way too much on the inspiration, but, like conception, having a good idea isn’t much of an accomplishment. You need the action and follow-through, which involves the right people, know-how, money, resources, and years of hard work. 1. Research your idea (figure out the market, talk to prospective customers about what they would like, see who your competitors are, and so forth). 2. Undertake legal incorporation and trademark protection (the latter when necessary; most companies don’t need a trademark at first). 3. Claim a web URL and build a website or have it built; get company e-mail accounts. 4. Get a bank account and credit card (you’ll generally have to use personal credit at first). 5. Initiate a Facebook page, a blog, and a Twitter account if appropriate. 6. Develop branding (e.g., get a logo designed, print business cards). 7. Talk it up to your network; try to find interested parties as cofounders, staff, investors, and advisers. 8. Build financial projections and draft a business plan (if necessary). If all of this sounds like a lot of work to do before you’ve even really gotten started, you’re right. Getting this stuff done while holding down a job would be a significant commitment. You might not have time to hang out with friends and family and do the things people like to do when they’re not at work. It is doable, though; I’ve seen it done or done it myself. 1. Raise money. In my experience, fledgling entrepreneurs focus way too much on the money—you can get most things done and figure out a lot without spending much. That said, most businesses require money to launch and get off the ground. For example, the average restaurant costs about $275,000 in construction and startup costs. Finding initial funds is the primary barrier most entrepreneurs face. Many people don’t have three or six months’ worth of savings to free themselves up to do months of unpaid legwork. 2. Develop the product. Product development is a significant endeavor. 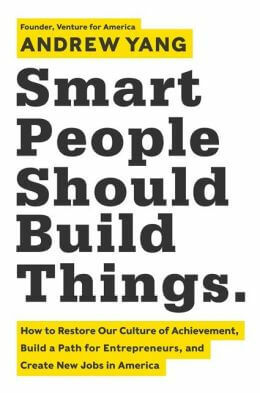 Even if you’re hiring someone to build your product, managing them to specifications is a huge task in itself. You can expect vendors to take twice as long and cost twice as much as you’ve planned for. Think of the last home improvement project you paid a contractor for; most experiences are like that. Depending on the product, you may need to travel to find the right ingredients, partners, and suppliers. This phase might require raising additional money as well. In some cases, you might want to patent your product, which will involve a patent search and thousands of dollars in patent attorney fees.